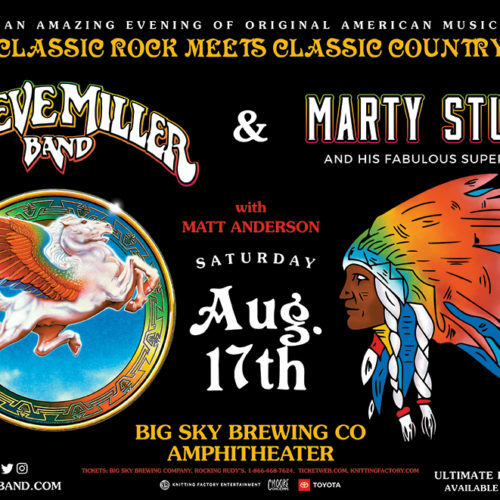 Doors – 5:30 p.m. Show – 7:00 p.m.
Jack is burnt out on wintertime and will instead be daydreaming of a cold brew on a hot day out at the Big Sky Brewing Amphitheater with Steve and Marty! 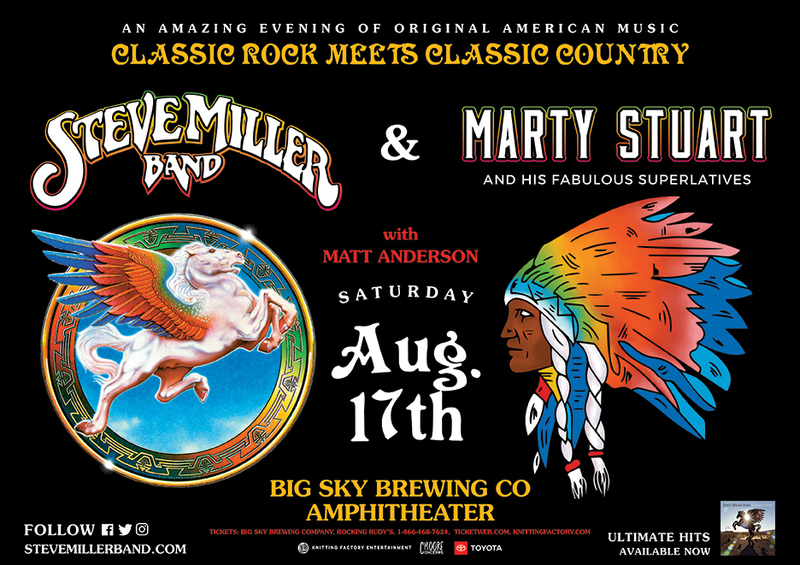 Tickets are on sale now starting at $55.00, available at Big Sky Brewing Company, Rockin’ Rudy’s, by calling 866-468-7624 and online at TicketWeb.com or BigSkyBrewConcerts.com. Keep it tuned to your buddy Jack FM 105.9 for ticket giveaways to the exciting summer concert season ahead! Win the ultimate hunting package! The best part isn’t the time outdoors, though that’s certainly near the top of the list. No, the best part about hunting, at least according to Jack, is all the tasty eating that comes for the six to nine months following. Deer, elk and more deer – that sounds like breakfast, lunch and dinner to Jack. This fall, Jack is absolutely delighted to offer up a sweet hunter’s package that honors not just the sport – but the eating part, too. 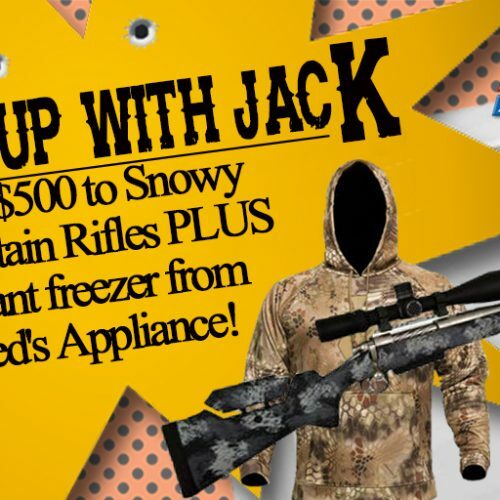 Not one but TWO loyal Jackheads will be walking away this month with a $500 gift certificate to Snowy Mountain Rifles plus a gigantic top-loading freezer from Fred’s Appliance. Snowy Mountain Rifles has been operating in Hamilton for years, but last year they expanded to a new store in Missoula out on Stockard Road. At either location, though, you’re going to enjoy great, personal customer service and a terric selection of rifles, accessories, camo clothing and other gear, as well as services like gunsmithing and cerakoting. Whether your game is hunting elk in the high country or shooting steel, Snowy Mountain can hook you up with extreme power, extreme range and extreme accuracy. And Fred’s Appliance is pretty much a local legend at this point. Need a washer and dryer? Fred’s. New kitchen appliances? Fred’s. They offer big box store prices without being a big box store. They’re local, they’re personable, and they’ll take care of you. So now the big question … how do you win? Well, there’s two ways. Starting Tuesday, Sept. 4th, listen out for the elk call on 105.9 Jack FM, and when you hear it just text the word “JACK” to 406-848-1059 … OR … starting that same day you can register in person out at Snowy Mountain Rifles. They’re located at 2935 Stockyard Road, just off North Reserve behind the Marriott. They’re open 9-6 every weekday and they’ll be glad to get you all signed up. Jack will draw two winners – the first on Sept. 14, the second on Sept. 28. Get your Celtic on with Jack! We don’t need much of an excuse to take the beautiful summertime drive down the Bitterroot. 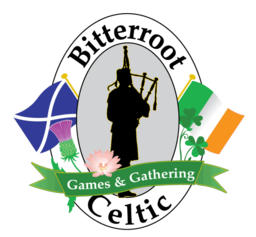 But for those of you looking for a good reason, may we suggest the upcoming Bitterroot Celtic Games & Gathering in Hamilton? • Highland Athletic Competitions: If super strong men in kilts hurling logs sounds like fun, then you don’t want to miss the Highland games. There’s lots of events for women and children in here too, and all participants receive a weekend pass plus a T-shirt. CLICK HERE for a schedule of events or to register. 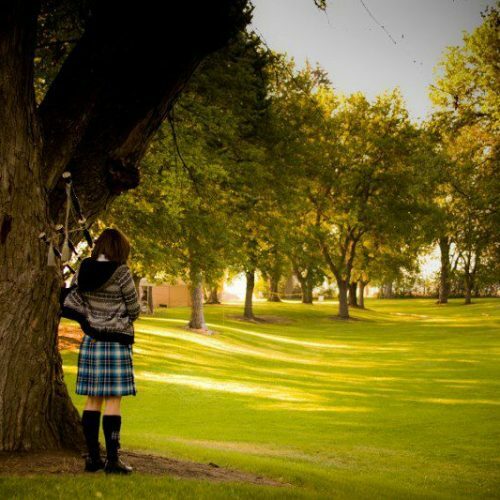 • Dancing, drumming and piping competitions: Nothing brings us back to the old country like traditional Celtic song and dance, and the weekend is packed with competitions and showcases by all ages and abilities. • Food: Nothing completes a festival like delicious food and drink, and at the Bitterroot Celtic Games & Gathering you’re going to be delighted by all the traditional fare options, including Scottish smoked salmon cheese pate, whiskey and scotch tastings and more! Also, be sure to catch the Beards & Braids contest, the Tug-o-War and free piping and language classes throughout the weekend. This year’s Bitterroot Celtic Games & Gathering kicks off at 9 am Saturday, August 18 and runs through the end of day Sunday. A full schedule of events is available HERE – or be sure to stay on top of the latest news and happenings on the group’s Facebook event page. This year, 105.9 Jack FM is excited to be giving away TWO free weekend passes to the event. Just comment on the post over at Jack’s Facebook page and we’ll pick our winners at the end of the day Wednesday! Slainte! Jack is offering a chance to up the ante on your summer fun courtesy of Montana Lottery! 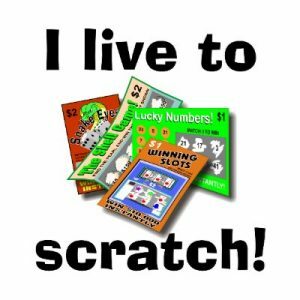 Tune in to 105.9 Jack FM Missoula starting Monday, July 16th, for a chance to qualify for our weekly scratch ticket giveaway. 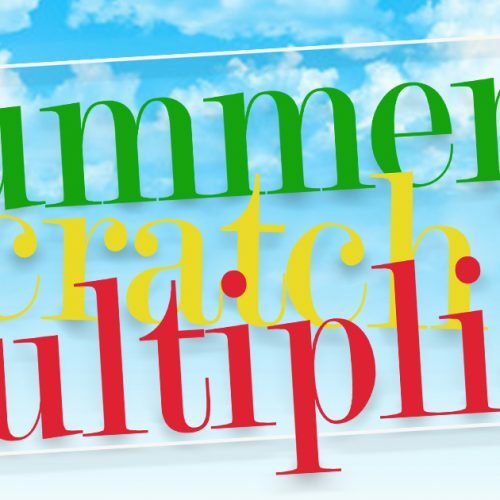 Just listen out all week long for a ring sound followed by the Summer Scratch Multiplier announcement. We’ll ask you a simple math question and you’ll text the answer to us at 406-848-1059. Everyone who texts in the correct answer will be entered into a drawing, and then we’ll pick a new winner at random each Friday through August 3rd. If your name is drawn, you’ll earn 25 free scratch tickets! Simple as that! 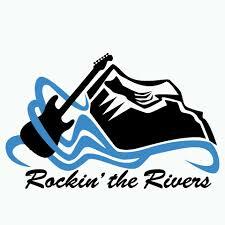 Rock the Rivers for FREE! That’s enough right there, but check this out: Everlast, Theory of a Deadman, Fuel, Eve 6 … the list goes on and on (and on). 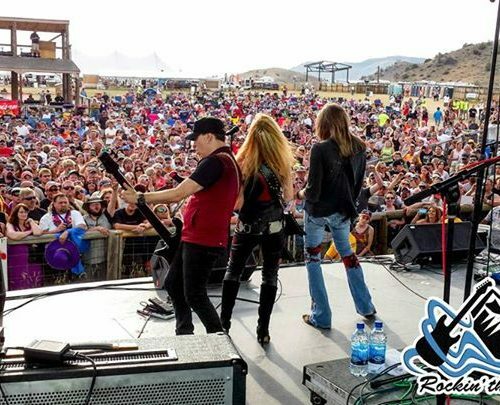 We’re talking about Rockin’ the Rivers 2018, the huge annual metal bash that unfolds over three days every August in Three Forks, Montana. This year’s line-up may be the greatest we’ve seen, and you can bet Jack’s already lacing up his combat boots and stocking up on hair grease for his favorite weekend of the year. But this time around, Jack’s taking some special guests. Two, in fact, who won’t just win tickets to the fest – they’ll be taking VIP passes. That means you’ll be feeling “very important” as you enjoy not just great hard rock and metal performances, but also free camping and access to the special VIP party zone. We’re talking shade, complimentary drinks and rubbing shoulders with other metal fanatics just like yourself. So let’s cut to the chase – how can you get your mittens on a pair of these passes? It’s easy – just follow THIS LINK to our online submission form, enter your info, and we’ll pick a winner at random on July 27. Yep, that’s it. Throw your name into the hat and you’ve got just as much a chance to win as the next guy. Good luck, and rock on, Jackhead! Here again is the link to sign up.